Jose Alejandrino of the Facebook Page the Hidden Truth, expresses his admirations for President Rodrigo Duterte, for he got abolished all of Europe’s capabilities to manipulate the Philippines. “President Duterte is right in taking a firm stand when countries interfere in our internal affairs. We are no longer a colony but a sovereign nation,” Alejandrino said. The International Criminal Court (ICC) has no hold on the Philippines for Duterte chose to give the Philippines true independence it. Their interference in the internal affairs of the Philippines is without a doubt unjust, but what’s worse is that the liberals, leftists and human right’s activists are exploiting this political interference to gang up on the only leader who’s brought true development since the time of Marcos. The European Union (EU) who’s been asserting conditions with the help that they provide was outright rightfully thrown down by Duterte. Despite shocking a lot of individuals, the EU eventually came back to provide us with their aid, condition-free. With intelligence on EU Parliaments support on the Liberal Party of the Philippines and the pressure that it imposes on the government, Duterte has proven himself not to be a slave to any colonist. “The EU really has no cards to play against Duterte. It is beset by many social and economic problems,” Alejandrino pointed out. With Britain preoccupied with the vast number of problems with the EU which was created by Brexit, France’s economic struggle, Greece’s bankruptcy, Poland and the Nordic countries assertion of independence from the EU due to disagreement on certain policies and the growing financial crisis due to illegal immigration, the EU is nothing more than being definitely FUCKED. 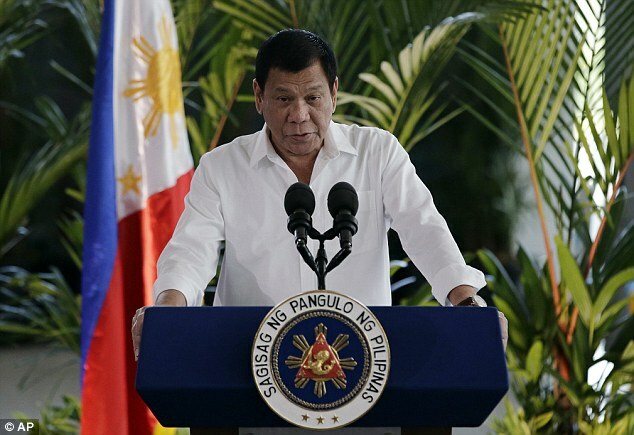 Duterte was right when he said that the EU has no right to dictate how the Philippine should be solve its problems for the EU is facing a far more paramount number of unsolved problems. The EU is probably desperate now that countries are pulling out of it. Being composed of industrial countries that need to sell in order to survive economically, the EU just suffered a blow after being denied by the Philippines, one of its markets. Japan, China and South Korea can fulfill the EU’s position as a market of the PH, Russia can provide the PH weaponry and loans are enthusiastically lent by China, Russia and Japan. The Philippines and its partners are significantly stronger than this so called Union, who’s facing division, the EUROPEAN DIVISION. Meanwhile the United Nations (UN) who’s closer to bankruptcy than it ever was still thinks it can pressure the Philippine President. Another act of European desperation, another act of humiliation that roots from Trump’s decision to reduce the funding of the UN under reports that it’s been to politicized. And although the UN’s specialized agencies, namely the WHO, FAO, ICAO and UNESCO, are useful to the United States, Trump won’t hesitate to fully cut their funding if it also becomes politicized. “Unesco, for example, should focus on education, science, culture and not be engaged in politics which is the preserve of the UN in New York,” Alejandrino argues.